Most of you probably already use a loophole without even realizing what it is, how significant it can be, and its advantages and disadvantages. This post explains the use of loopholes and how to shoot both from and into this spatial, perspective-based tunnel. 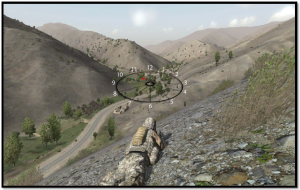 The Sniper Operations Manual for Arma 2 or “The SOM” covers all aspects of being a sniper or spotter in Arma 2. Available in PDF format, this manual includes the originally published content that now finds it’s home online here at GETactics. 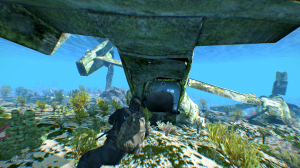 We discuss the procedures of navigation and map reading in Arma 2. These skills are crucial in advancing your ability to make plans. No matter your role, knowledge of the area before deploying is the first step to being able to successfully execute a mission — and more importantly — improvise out in the field. The sniper team’s organization is simple and consists of two positions: a shooter and a spotter. Don’t let the wording fool you — both are trained shooters, referred to as snipers, and in most cases have a relationship that functions interchangeably and always complimentary. 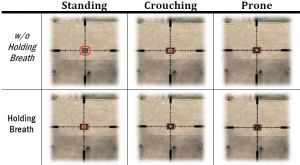 Sniper rifles firing the 7.62mm round have a typical zero range of 800m. 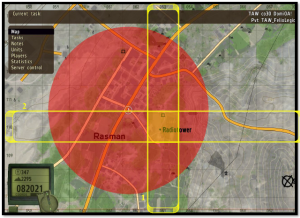 Because Arma simulates semi-realistic ballistics modeling, 800 or even 1200 meters is not the furthest distance you can engage. 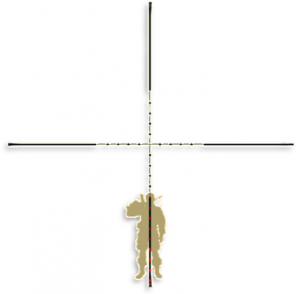 In this guide we explain the technique of extending the marks on your reticle for extreme long-range. 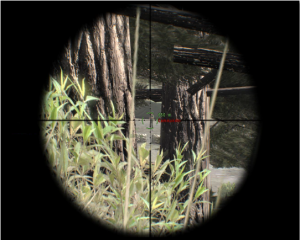 While operating in a sniper team, the Projected Clock method is one of the most effective techniques for a spotter to call targets to a shooter.